Your car’s paint job will show signs of wear and tear over time. Even the most mindful driver will have to weather some bumps and bruises at some point. However, there are things you can do to extend the life of the finish and keep your car looking its best. Chemical damage can be caused by acid rain, tar, sap from a tree and bird droppings. When these things interact with the paint, they cause discoloration and pitting. The longer the substance stays in contact with the paint, the more damage is done. It is important to remove the problem item as soon as possible. Start by seeing if soapy, hot water will work. If that does not help, mix a solution made of 1 tablespoon of baking soda for every 4 cups of water. For these treatments, remember to rinse the car well and dry it off before applying a protective wax coating. If the stain still won’t come out, look for a more specialized solvent. Make sure it is compatible with the finish on your car before using it. If that's still not enough, you are going to have to look at refinishing the area. This is best left to the professionals because the paint will have to be removed and a matching color applied. Being careful when you park your car is the best way to avoid this type of damage. If possible, park under cover. But, if this isn't possible, avoid wooded areas or areas where there is a lot of bird activity. Scratches typically happen when your car brushes up against something. Chipping is usually caused by something hitting your car, such as stones flying up from the road. Superficial scratching can be buffed out fairly easily, but more serious scratches will need to get detailed. Depending on how severe your chips are, chances are the paint will have to be refinished. - Be aware of your environment. Low hanging branches or bushes can scratch your car. - Do not leave your keys in the car when unlocking the doors or trunk. Opening and lowering the trunk causes the keys to move back and forth and this can damage the paint. - Watch where and how you park. Make sure to park within the lines and considerately. Also, it can sometimes help to park alongside a column in a parking garage because then at least one side of the car is protected from other people’s mistakes. - Driving on main streets that are better paved can help prevent chips. Unfortunately, even the most careful driver can't avoid debris that flies up off the road; however, a good cleaning and some denatured alcohol can help prevent the small chips from turning into bigger rust spots. Whatever the problem with your car’s paint, do not wait too long to get it fixed, especially if the car’s body has been exposed. 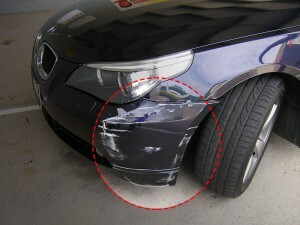 Without protection, the bodywork of the car can begin to corrode. 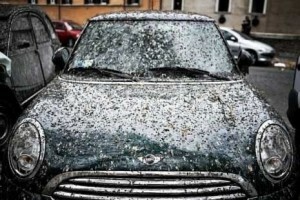 Regular cleaning and drying of the car will be sufficient to handle most problems. Plus, it gives you the opportunity to inspect your car for more serious damage.